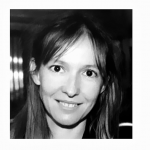 Dr. Agnès Rocamora is a Reader in Social and Cultural Studies at the London College of Fashion, University of the Arts London. She is the author of Fashioning the City: Paris, Fashion and the Media. Her writing on the field of fashion and on the fashion media has appeared in various journals, including Fashion Theory, Journalism Practice, Sociology, Sociétés, and the Journal of Consumer Culture. She is a co-editor of Thinking Through Fashion: A Guide to Key Theorists, of The Handbook of Fashion Studies, and of Fashion Media: Past and Present, and has contributed to various books including Fashion’s World Cities, Fashion as Photograph, Critical Luxury Studies. She is also a founder and co-editor of the International Journal of Fashion Studies. She is currently working on a book on the influencer economy.